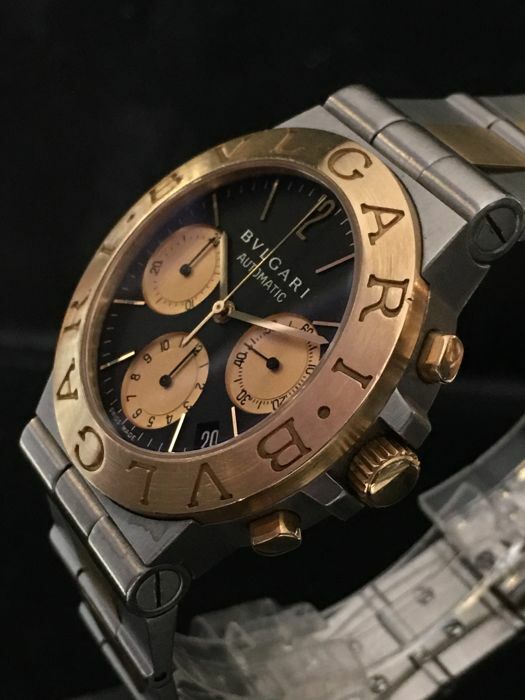 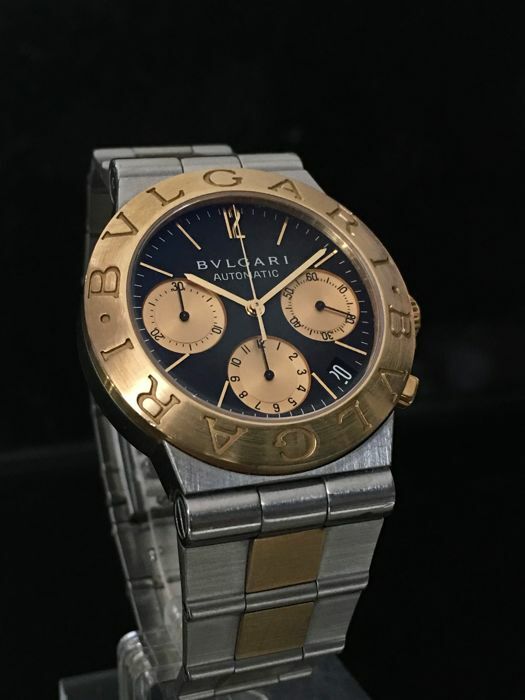 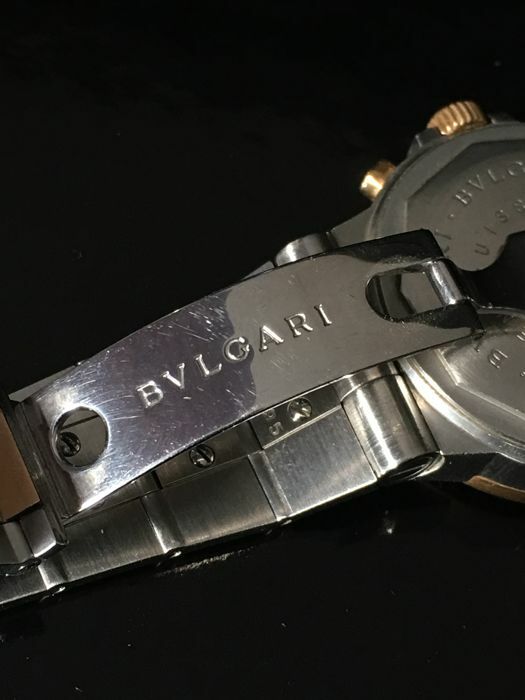 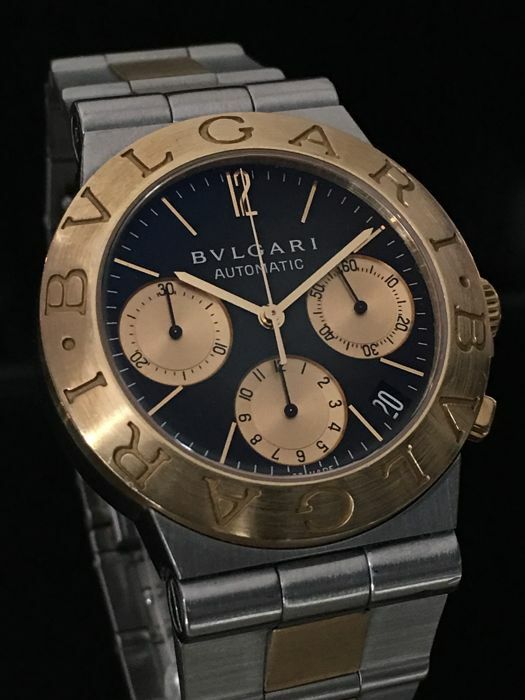 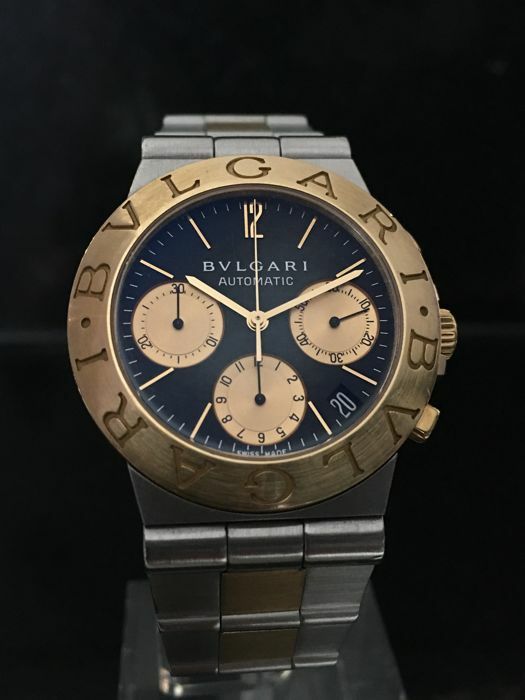 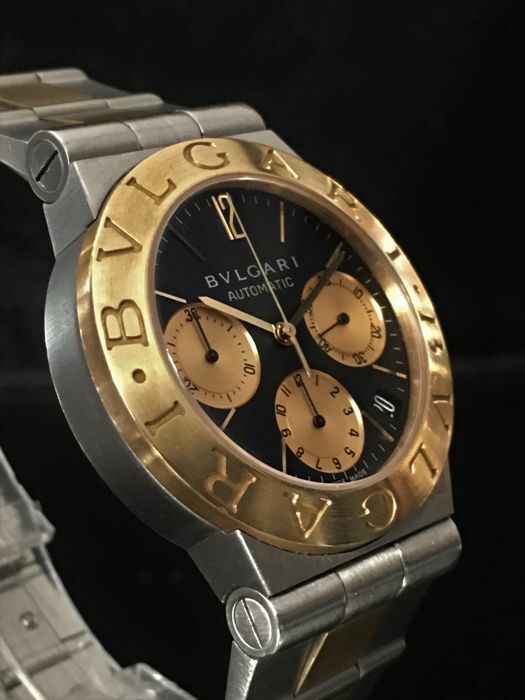 Superb Black Dialed BVLGARI Diagono Automatic Chronograph in Steel and 18K gold. 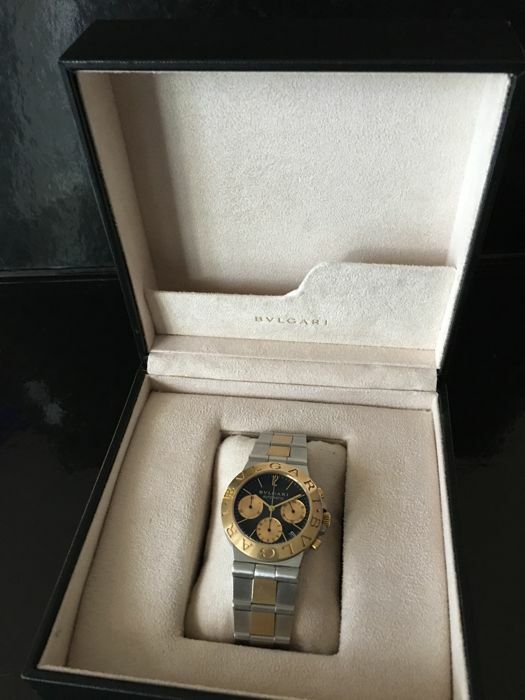 In excellent running condition, Timed and Tested!!! 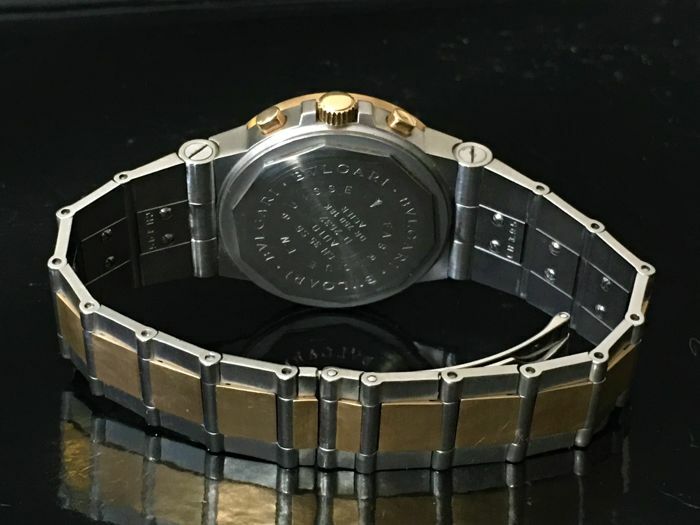 Fits aprox a 20 cm wrist, one spare link is included so up to 20cm when link is fitted. 您可從賣家地址自行提: Amsterdam (Noord Holland), 荷蘭.